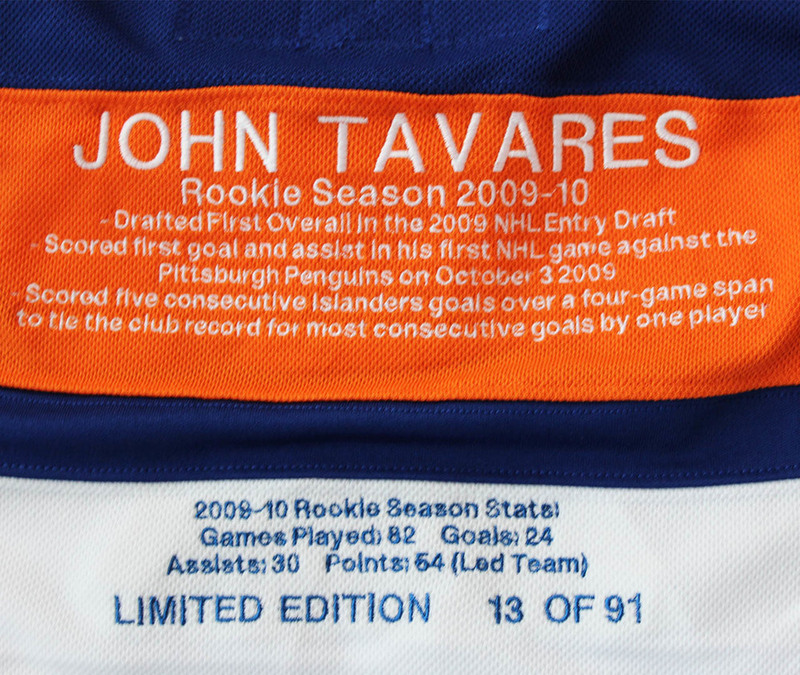 This jersey was personally signed by the 1st overall draft pick in the 2009 draft, John Tavares. Tavares has played 9 years in the NHL for the New York Islanders. After the end of the 2018 season, Tavares decided to start a new chapter of his career and signed with the Toronto Maple Leafs. Tavares has had a career to remember thus far, accumulating 621 points in 669 games at the end of the 2018 season. Tavares has played in 5 NHL All-Star games, has an Olympic gold medal, a World Cup gold medal, and 2 World Juniors gold medals. 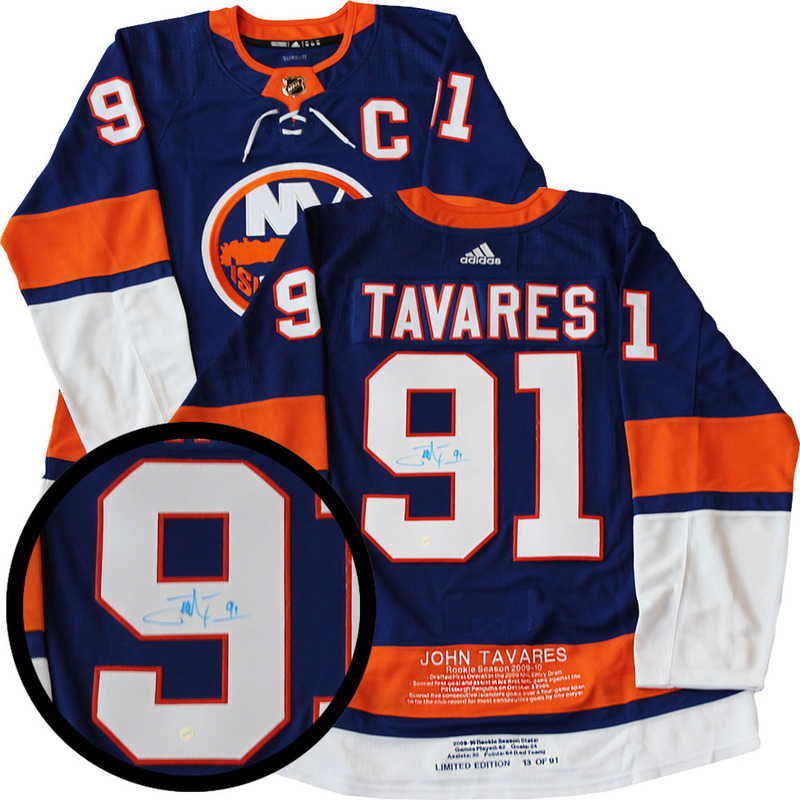 This jersey is a replica of the jersey worn in Tavares' rookie season in the NHL.This jersey is accompanied with a Frameworth COA and hologram to ensure the authenticity of the autograph.